Map of St Louis Bike Routes Courtesy of "Bike St Louis"
Make sure to check out our map of St. Louis bus lines for more transportation info. Or just drive your car, I guess... I'm not judging you. Here's another public-service map for the best city around; home of your curator the 59 King; regent-in-exile of the now-practically-defunct 59 bus line... (may she one day return to the city.). 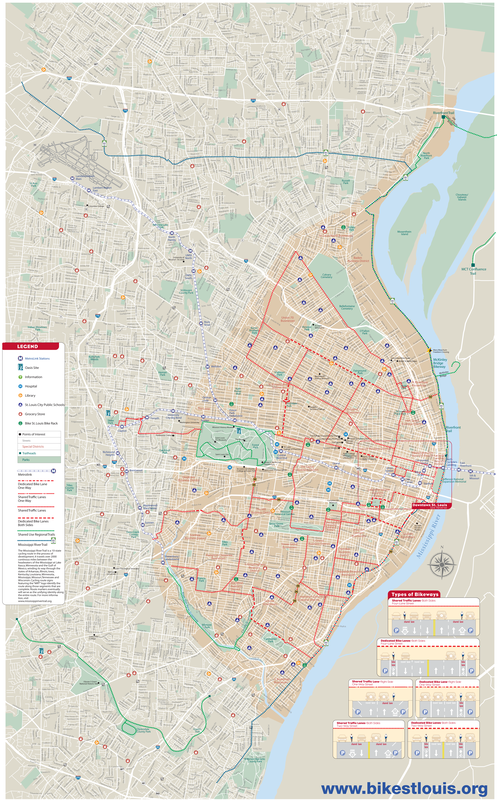 The people over at Bike St. Louis made this map of bike routes in St. Louis. I don't know those folks, but I like bikes and I like St. Louis, so I can't see no reason why we wouldn't get along. If you'd like, go show them some love and make a donation or volunteer or something if you have the time and inclination. I bet they'd like that. 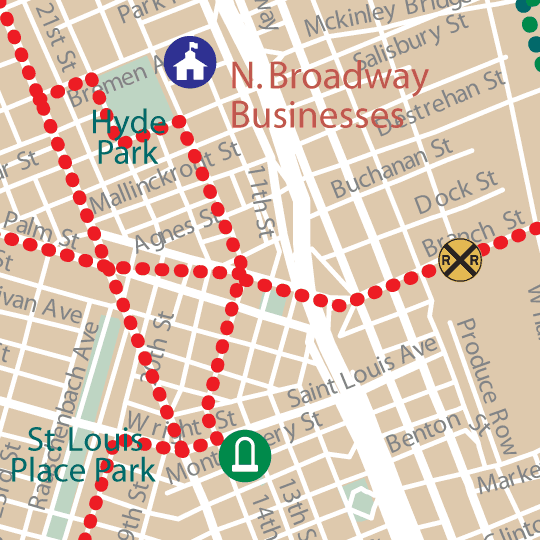 See also: our map of St. Louis bus lines.